A set of patterns created using Adobe Illustrator, totally editable and usable. A collection of handcrafted backgrounds inspired by nature and fall colors. 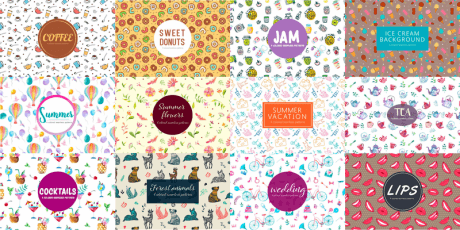 It features 10 seamless patterns with a vibrant and colorful look; fully editable in Adobe Illustrator. You can use them for paper stationery, scrapbooking, print them on fabrics or use them for branding and web design projects. Published on Behance by Free Stock. A collection of 57 seamless patterns that can be used to create consumer products, flyers, brochures, leaflets, banners, backgrounds, and more. 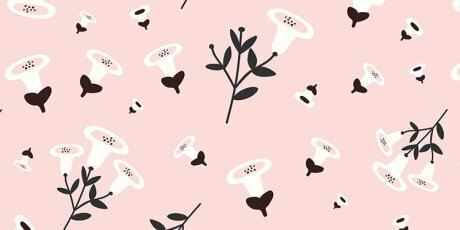 The collection contains lots of patterns like food, soft drink, fruit, summer, floral, love, animals and geometric designs. All the patterns were made by designers from the team Design Zone and are free for personal and commercial use. 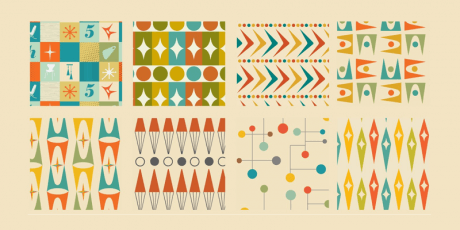 8 handcrafted vector patterns with a mid-century style in AI, EPS, PSD, PNG and JPG file formats. 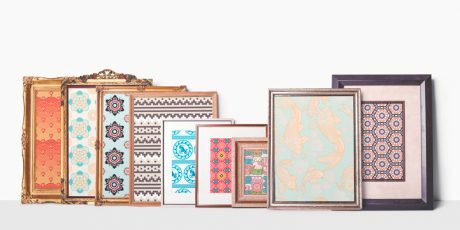 The patterns evoke the 60's vibe with bold use of color and abstract shapes that are seamlessly repeated through the boards. Shared by Graphics Collection on Dribbble. 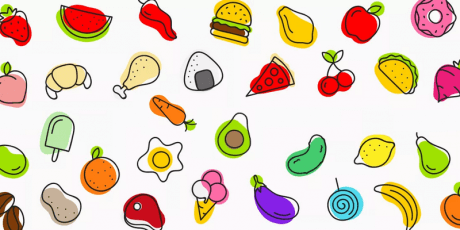 This is a set of vegetables, mushrooms, and fruits vector patterns in styles like hand-sketch, watercolor, and color-line. It includes 16 main background color options in Illustrator, EPS, and PNG file formats. Created by Denis and Natalia from Design Zone. You can use the graphics for free for personal and commercial purposes. A set of 6 vector symbols and 6 seamless vector patterns. 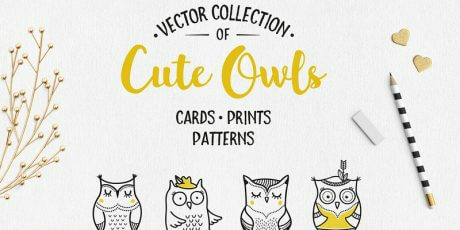 The patterns come in three versions: colored, black/white and flat, vector AI (Adobe Illustrator) format. 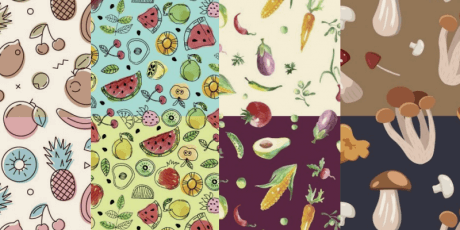 The symbols library gives you the freedom to make your own foody pattern. by unio creative solutions and are free for personal use only. 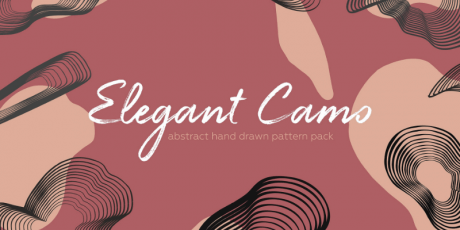 A set of patterns in abstract lines and filled shapes style, all with a characteristic hand-drawn feeling. The pack contains the patterns in PNG and EPS files that enable you to change the color and modify every line. Designed by Behance user Lisa Kalev. A set of 8 different seamless patterns made entirely by hand. 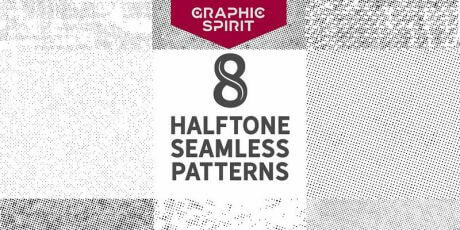 A Halftone design based on dots maps creating a vintage feel. 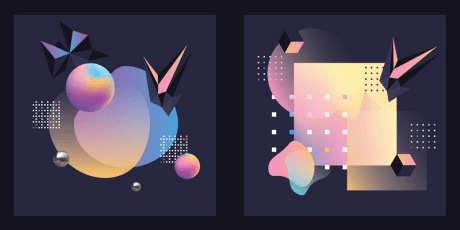 The patterns are delivered as entirely tileable Vector EPS files, including also JPG High-Resolution previews and a convenient User Guide to help you enhance your designs easy & fast! Find this premium collection exclusively free on ByPeople courtesy of our friends of Graphic Spirit. 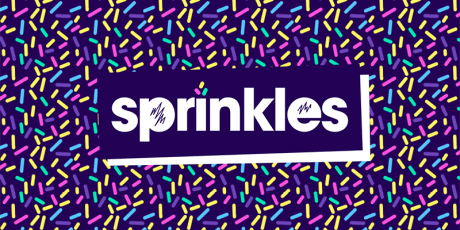 12 pattern designs similar to donut topping sprinkles, on Illustrator & Sketch file formats. It for sure will take you back to the 90s(momentarily at least). Created by Dribbble user Phil Goodwin. 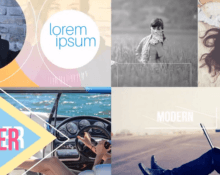 MIKO is a set of highly customizable logos, patterns, and stationery multiformat designs. This package contains 9 patterns, 5 stationery and 4 logo designs spread over different file format extensions. 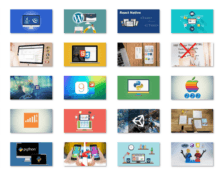 The pack includes Sketch, AI, PS, ID, PDF, PNG, and JPG file formats. Created by Raul Gaitan. The combinable Pattern Vector Pack gathers several elements of seven hugely known cultures. It has 100% editable vector patterns including Chinese, Colombian, Greek, Inca, Indian, Japanese, Mayan, Thai, Moroccan.